Good morning! D.C. readers: You're invited to News Shapers: Health Care in America, tomorrow at 8am. Royal Dutch Shell said Tuesday that it's leaving American Fuel & Petrochemical Manufacturers (AFPM), a major Beltway industry lobbying group, over differences on climate change policy. Why it matters: The rupture signals how Shell and some other oil giants, largely headquartered in Europe, are moving more aggressively on climate than the petroleum industry as a whole. "We have identified material misalignment on climate-related policy positions with this association," Shell said in a published review of its membership in trade associations. Shell said it would not renew its AFPM membership next year. But, but, but: Shell is sticking with other lobbying groups — some of them more powerful than AFPM — that battled against key parts of the Obama administration's climate agenda. What they're saying: The report lays out several policy differences with AFPM, noting that "AFPM has not stated support for the goal of the Paris Agreement," which Shell backs. It also cites AFPM's opposition to carbon pricing and the trade group's support for Trump administration moves to weaken auto mileage standards set under the Obama administration that cover the first half of the 2020s, among other differences. The other side: AFPM CEO Chet Thompson, in a statement, thanked Shell for their longstanding work with the group. "AFPM will continue to foster collaboration among our nearly 300 members on important topics like safety and environmental protection," he added. The big picture: Shell reviewed its worldwide participation in 19 industry associations overall, finding agreement with 9 and "some misalignment" with 9 others in addition to the deeper split with AFPM, which is the only one it's leaving. For instance, Shell notes that all 3 opposed the Obama-era Clean Power Plan (which never took effect), and highlighted the U.S. Chamber's criticisms of the Paris agreement. "Increase transparency about our own policy positions, and about differences with these industry associations." Engage with them more in areas where they differ. Reassess membership when they identify major differences. Context: The review of trade group memberships stemmed from a wider agreement reached in December with activist investors under the umbrella of Climate Action 100+. Shell, as part of that deal, has begun setting short-term carbon emissions goals for its products and linking them to executive pay. Go deeper: Explore Shell's wider climate positioning here. There's interesting information in Saudi Aramco's 469-page bond prospectus beyond the $111 billion net income last year that we briefly noted yesterday. Driving the news: The state oil giant lays out a series of climate and climate-policy related risks to its business, including reduced demand for fossil fuels, litigation, and threats to infrastructure. But what really intrigued me is how the Saudis are increasingly making the case that in a carbon-constrained world, their oil will have market-staying power. That's because of its relatively low carbon intensity (that is, emissions per unit of output) compared to other major producers. It lists the CO2 intensity of Aramco production among their "competitive strengths." "Climate change concerns may cause demand for crude oil with lower average carbon intensities to increase relative to those with higher average carbon intensities." What they're saying: "I see it as a recognition of what's important to a large portion of investors and consumers," oil analyst and Saudi expert Ellen Wald told me yesterday. Flashback: Experts have been predicting that the Saudis would increasingly emphasize this, including Rice University's Jim Krane in a paper last year. Duke Energy is urging North Carolina utility regulators to approve a 3-year, $76 million dollar company plan to expand electric vehicle charging in the state. Why it matters: The big utility says it's proposing the largest EV charging infrastructure plan ever in the Southeast. In a filing with regulators, they note that current infrastructure "cannot support the current and future pace of EV growth," adding there are currently just 43 public fast-charging stations statewide. How it works: Duke is proposing to install over 800 public charging stations in the state. 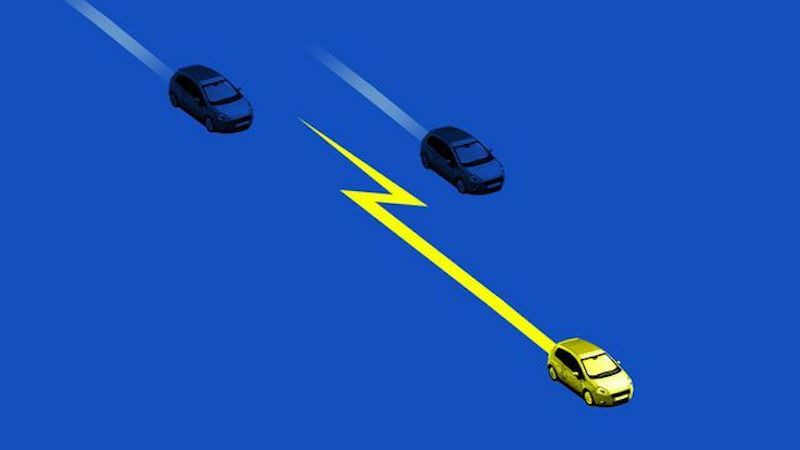 Amongst other things, it also wants to offer rebates for residential charging installation and for commercial and fleet operators who invest in charging infrastructure. Policy: A new paper from the Progressive Policy Institute warns that the U.S. is falling behind in the race to become a global EV industry leader. Why it matters: The moderate Democratic think tank says better policy can help the U.S. seize what is "probably the most important new manufacturing opportunity in the world." One of the proposals calls for not only expanding availability of consumer tax credits, but overhauling them to become more generous for cheaper EVs to help spur wider mainstream adoption. "'[T]his credit could be structured on a graduated scale as follows: $7,500 for vehicles priced under $35,000; $5,000 for those under $50,000; $2,500 for those under $75,000; $1,500 under $100,000," writes PPI's Paul Bledsoe. Milestones: Via Reuters, "Almost 60 percent of all new cars sold in Norway in March were fully electric, the Norwegian Road Federation (NRF) said on Monday, a global record as the country seeks to end fossil-fueled vehicles sales by 2025." Axios' Amy Harder chatted with the money manager behind New York State's public pension fund, Comptroller Thomas DiNapoli, who is pushing ExxonMobil and other big companies to do more on climate change. Driving the news: New York’s fund and Church of England’s endowment have filed a shareholder resolution aimed at getting Exxon to set aggressive emissions reductions targets. Here are 2 excerpts of Amy's interview with DiNapoli for her latest Harder Line column on the effort. Axios: Would you ever consider divesting your shares — about .25% of all outstanding Exxon shares — if the company doesn’t act in the way you’re calling for? Axios: What’s your reaction to Norway’s sovereign wealth fund — the largest in the world — divesting from some oil companies, those focused just on exploring and producing? Bloomberg columnist Matt Levine spotted a fascinating footnote, which says Aramco loses 10,000 barrels of oil per day. As in, literally. "That’s 'loses' in the strictest sense: It loads them on a truck or ship or pipeline, and then when it goes to unload them they’re not there any more. They’ve evaporated or leaked or shrunk or whatever." By the numbers: He notes it represents just 0.1% of the company's output, but adds that even that rounding error is the equivalent of 14 trains cars full of oil vanishing a day or losing a supertanker full of oil per year. "If you had a supertanker full of oil you probably would not misplace it. Aramco just has too much oil to care," Levine writes. "I think we may end up with a hybrid. I think some of those proceeds need to go to the technology, and the innovation and the research because the public will demand that." Who said it: Democratic Rep. Paul Tonko, who heads a House subcommittee on energy and climate change, speaking on the Columbia Energy Exchange podcast. Context: It's his argument for why some revenues from putting a price on carbon should be used to fund low-carbon tech development. Why it matters: The comments are a sign of the thorny debates that await even if carbon pricing gains political traction. A number of CO2 tax advocates — including the big oil-backed Climate Leadership Council — say essentially all the revenues should be rebated to the public. Editor's note: In yesterday's Generate, the third story was updated with new details from S&P, which now says its report shows Murray Electric was in default at the time but now has a forward-looking rating of CCC+. It also corrected the use of the word "corporate failures" with "defaults."